Often mistaken as the Common Frogs, Common Toads are a species widely found in Europe. These amphibians appear grim due to their motion and appearance. 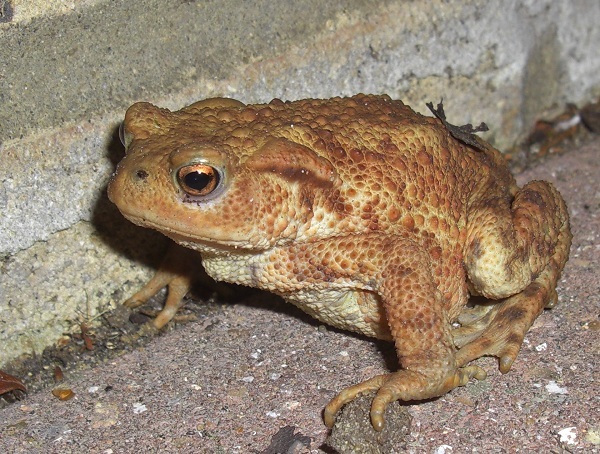 This European toad has several subspecies that have their distinct geographical range. It has a poisonous skin which helps it survive amidst the wild apart from its color which reflects the surrounding color pretty much. Some of the known species of this amphibian are Bufo bufo bufo, Bufo bufo spinosus and Bufo bufo gredosicola. One of these is restricted to only Spain. These toads are sluggish and exhibit a variety of physical features that help in their identification. Body: They have a heavy body as compared to frogs and head is a bit elongated. Color: Strangely enough their skin tone reflects the shades of their habitats. Yet, they have largely brown shades or a mix of grayish to olive brown. Color is mostly uniform though it can be partially spotted with darker tints. Size: They lay gelatinous strings of eggs which measure around 3 to 5 meters. Adults grow around 6 inches in length. 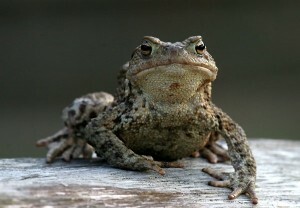 In this species of toads, males are smaller than the females. Those ones that are found in the south are bigger than the ones belonging to the northern zones. Forelimbs: They have short forelimbs with toes that turn towards the inside. Hind legs: Hind feet have un-webbed toes that are elongated in size. Hind Legs are shorter than that of the frogs. Texture: It has dry skin, with widespread warts on it. Eyes: It has big protruding eyes with yellowish irises. 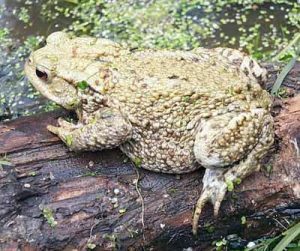 These toads are a common sight in Europe as they are distributed largely throughout European countries except the Mediterranean Islands, Iceland and Ireland. Due to low temperatures, they are absent in the northern parts of Scandinavia. Apart from Europe, these toads are fairly distributed in west of Asia and selective African regions. These toads go into hibernation in winter, taking refuge in abandoned burrows of mice, piles of logs and in leafy clumps. They emerge out of it around February and March after which they move to the breeding site. Bufo bufos laze around gardens, countryside, edges of woodlands, parks, fields and even in dry areas devoid of ponds. It may live at an altitude as high as around 2,500 m in the southern fringes where it is distributed. It moves slowly, either by walking or taking short dragged jumps. Most of its activities, which include hunting, start at dusk as during the day it hides beneath stone formations and foliages. Sometimes, only during the rains do they appear in daytime. These toads are highly active in moisture laden climate. They cannot chew their food due to the absence of teeth. While swallowing their food they blink to push the food down their throat. They are quicker than the females in reaching the breeding sites and they even stay longer than them. They keep chasing their prey till it comes to a favorable distance when they can catch them by flicking their sticky tongue. When it is stressed out or threatened, it tries to assume a bigger form by pumping up its body. This species of toads is a voracious eater, feeding largely on slugs, woodlice, beetles, flies, worms, caterpillars, flies and occasionally small mice. Juveniles feed on a jelly-like substance of their eggs on the string after they are hatched but later feeding pattern changes as it grows up. They fall prey to several predators mostly due to their small dimension. Among its predators Lucilia bufonivora, hedgehogs, grass snakes, cats, foxes and even some birds are very common. Though they have a toxic exterior but predators like diving beetles can actually pierce through their body by cleverly avoiding the poisonous skin. Paratoid glands located behind the region of their eyes secrete a toxic substance called bufotoxin that helps in keeping their predators at bay. It bows down its head and raises its back legs as a defense mechanism during attacks. Mating commences right after hibernation, during this time they flock to the breeding sites in plenty of groups. Males and females show distinct pattern of stay in the breeding sites, with males staying longer than the females. Mating is a competitive activity in which several males may form clusters while trying to get hold of the female. After a series of conquests, if the male succeeds to mount up the female, it remains there for several days till he fertilizes the eggs of the female. The position in which the male grips the female is called amplexus. Long string of eggs, measuring around 4 meters is laid by the females that get entwined in the vegetation around them. These eggs hatch after around three weeks. They may live as long as 10 years. Upon hatching, the juveniles stick themselves to the water plants, especially under the leaves. They derive nutrition from the string to which they were attached. It takes a few weeks for their legs to develop and by the end of 12 weeks they completely metamorphose into tiny amphibians. They become mature between 3 and 7 years of age. It can very well conceal itself amidst greens and rocks without being noticed. It keeps hiding from the world during the day, emerging only at sunset. They may take refuge in the same spot for months. They have a tendency to trace back to their original birth sites. Unlike the males, females do not prolong their stay at the mating site beyond mating and spawning. Except the spawning season, they generally refrain from water bodies. Housing: They can be housed in big tanks devoid of chlorinated water. Though they prefer dirt, when you are housing them it would be better to keep the environment clean to ward off bacteria. Also put a bowl of water which should not be deep. Feeding: You can feed them with wax-worms, mealworms and crickets as they are nutritious. Care: Keep the tank away from direct sun light and you may consult a professional for more information about them. According to the IUCN, they are a least concerned species. Common Toads are usually spotted during spring when they wake up from hibernation and head towards the spawning sites. They may look similar to other species but close introspection will show you the differences between them. They are common in UK but their trading is prohibited. 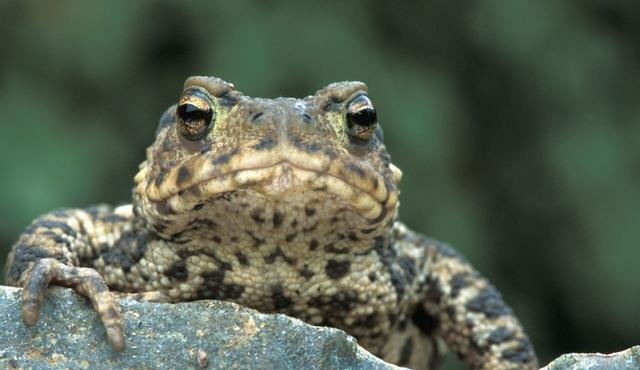 Want to know how common toads look? Take a look at these pictures here.